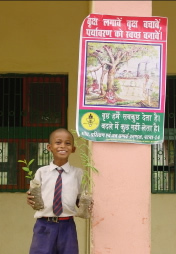 We began our work in Dongheswari, India in 1993. Encountering begging children without schools to attend during a pilgrimage tour led to discussions with the villagers to build a school for the children. The community donated a plot of land for the school as well as unskilled labours and with JTS supplying the cost for skilled labour and construction materials, the school opended with 120 children. 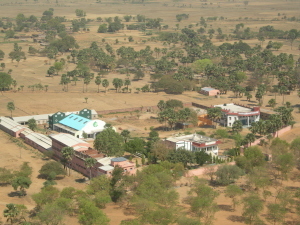 With JTS India field office on site, the school has grown to include 700 students and has become the centre of village development and medicare serivice. 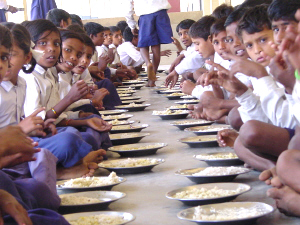 JTS India aims to alleviate the villagers from hunger, illiteracy and diseases by working directly with the community help them to mobilise their own capability. 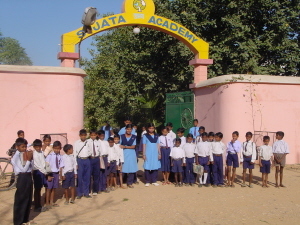 In 1993, the Sujata Academy was founded in Dongheswari, home to one the most underprivileged outcastes, the Harisans (aka Dalits). Today the academy consists of 2 buildings, one warehouse, a dormitory, a kindergarten, a large playing field and playing equipment for children. Our goal was not only to improve destitute lives through the distributing of relief goods, but also to educate the residents so they might overcome their illiteracy. Classes ranging from kindergarten to secondary level are taught, as well as adult and female adult literacy classes and skills training. Students enrol in primary level classes at no cost but continuing education beyong the elementary level require voluntary services from the students, such as teaching kindergartens, or as a helper at the medical clinic. 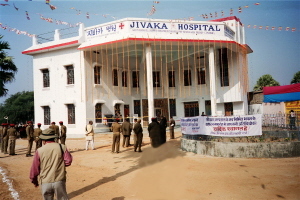 A small clinic to treat minor wounds and basic illness during the construction of Sujata Acedemy grew into a medical centre, then into a hospital with general medical services provided by volunteer general practitioners from the nearby city Gaya. Seven doctors work in weekly roaster at present. On average, approximately one hundred out-patients are seen daily and on-going TB program and maternity care program are run. Many wells in the community have been abandoned, making it difficult for people tfind water during the drought season. Even when water is available, it is easily contaminated due to the low-rise construction of the wells, leading to waterborne disease. As a result, we are installing water pumps to create a stable water supply that can be used for drinking and agriculture.